Although you may not be awake to see it, the bedroom is where you spend most of your time. Other then the kitchen, the bedroom sets your mood for the entire day and relaxes you after the day is done. Having the correct furniture for you and the space will dictate how you feel for the day and evening. Finding the right combination of furniture pieces can often be difficult and expensive so, how do you go about finding the right furniture for you as you troll the furniture stores? This first question is directed not at what you like to do but more toward a realistic assessment of your personality. Are you a whimsical personality or are you a fairly stiff personality. Are you organized or are you a pack rat. It is important that you be honest about who you are when thinking about your bedroom because changing who you are is something that doesn’t work. If you are a pack rat by nature, everything you collect will eventually overwhelm you if you categorize yourself as organized. An organized pack rat is possible but don’t kid yourself. As you shop for your bedroom furniture keep in mind who you are and how the furniture will fit into that assessment. Choosing furniture with personal style in mind has very little to do with being honest about who you are. Personal style has more to do with flair, being laidback, being earthy or being wild. Generally, how you think of personal style will dictate where you shop for your furniture. If you are earthy in style you will likely be interested in Mission style furniture while if you are interested in a wild style you will likely want to go modern. The difference between style and who you are is that the furniture pieces you choose will have particular design aspects that meet who you are while looking like your style. The age of the person using the bedroom is a fairly important item to consider. Tastes change, the younger a person is the more the taste will change over time. With this in mind choosing furniture that will likely be used by several younger people or given away is important. If you are looking for furniture for a “jumper” keep “sturdy” in mind. As the user’s age gets older you will be able to either think generic, if the furniture is for a guestroom, or quality that will last as your tastes settle into what they will likely be for the rest of your life. From a practical point of view, the dimensions of the room are fairly important. If you purchase a king-sized bed for a room that really isn’t large enough for it you are pretty much shooting yourself in the foot. Consider where you would like the bedroom to end up from a design standpoint before you go to wild with furniture purchases. Start by being practical and then grow from there. Start with a bed of appropriate size and a dresser that has the right number of drawers for your needs. The mattress can just be a mattress that works for the room while the dresser should be the first piece that is directed by your style and character. As you are looking to meet the foregoing criteria for your bedroom furniture, consider how much light is going into the space from outside. Not lit space from lamps, but natural light. Heavier darker woods will really drag the room down if there is not enough natural light to “lighten” them up a bit. The room may work fine with artificial light at night but if you are planning to be there during daylight hours, prepare for a totally different space. There is a very good reason that people end up with an eclectic set of furniture in their homes or apartments, good furniture is expensive. In some respects, this is not such a bad thing. Be a good savvy furniture shopper and shop for one or two quality pieces at a time, don’t go out and search for the entire bedroom set at once and pay less. This furniture is likely stapled together and will fall apart after a few years of continued use. If you’re shopping for the last of your children, that’s one thing. If you’re shopping for yourself, find the right piece or two that will stay with you for a long time and pay more for it. As the money begins to show up add another quality piece that is in line with your character and style. Try to be realistic with yourself when it comes to style. In other words, don’t be a slave to fashion style. When you’re buying these more expensive quality pieces, stick with the classic forms. If need be, you can reupholster on a quality frame that can withstand a bomb landing on it. Bathroom fitters: Bathroom visual enlargement. © 2018 AfroConstruct. All rights reserved. 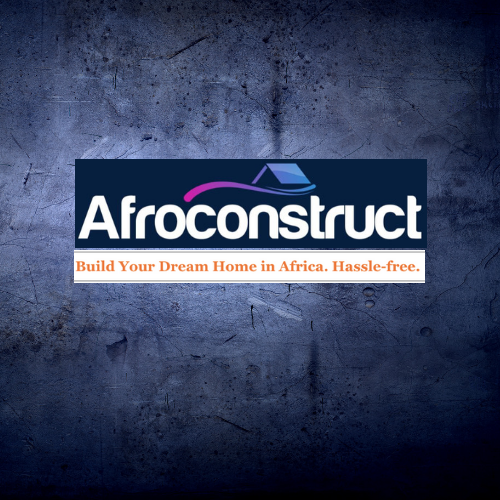 Welcome to Afroconstruct! How can we assist you? Sign up now to get Amazing Deals and Discounts!